The government’s decision not to include a transition period for current 30% ruling beneficiaries when it slashes the time limit from eight to five years contravenes Dutch law, according to an expert legal opinion prepared for the lobby group fighting the change. The United Expats in the Netherlands group commissioned law firm Stibbe to look into the issue and its lawyers conclude that the plan contravenes principles of legal certainty, predictability and proportionality. In addition, the report says, the lack of a transition period is in ‘direct conflict’ with tax minister Menno Snel’s own policy on transitional agreements, and with principles of due diligence and justification. This means, the law firm says, the proposal is unlikely to survive ‘judicial scrutiny’ if it becomes the law. In particular, the report criticises the fact that the government has not researched the likely impact on the 11,000 people who will lose the tax break before they expected too, but dismisses them as ‘a limited number’. The UNEL has now sent the report to the parliamentary finance committee which is currently re-examining two aspects of government tax policy – the 30% ruling cuts and the decision to scrap the tax on dividends. ‘It is shocking that despite the negative advice from the Council of State that the current proposal does not respect the existing term limits for current recipients of the 30% tax ruling,’ UNEL spokeswoman Jessica Taylor Piotrowski said. 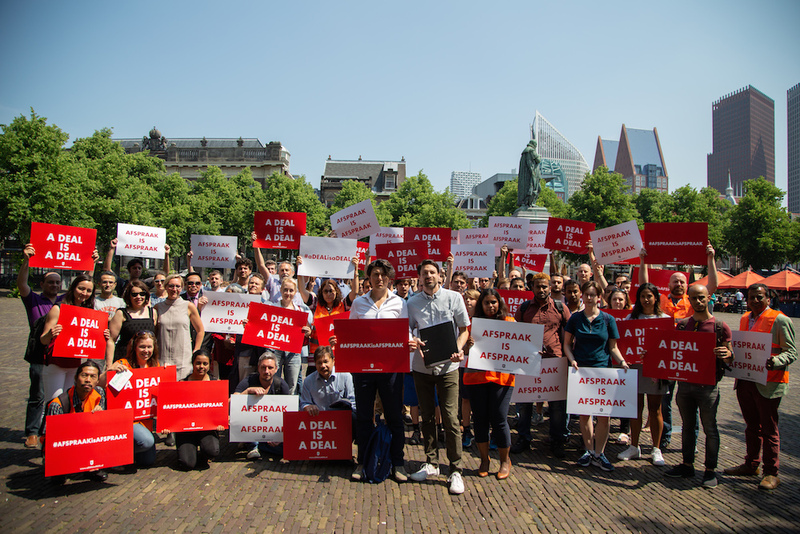 Sources in The Hague have told the Telegraaf that there are signs the government will water down its planned changes to the 30% ruling for international workers. The Telegraaf says the planned cut from eight to five years may not be as severe as the government planned, and the five-year limit may be made longer. Other sources have told DutchNews.nl that that the government may introduce a one year transition period to temper the switch for current beneficiaries who will lose hundreds of euros a month from January 1. The finance ministry has declined to comment on the claims while the talks are ongoing.